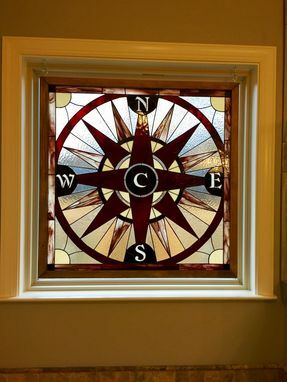 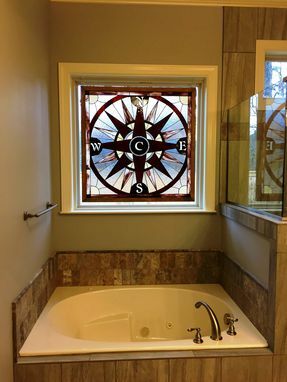 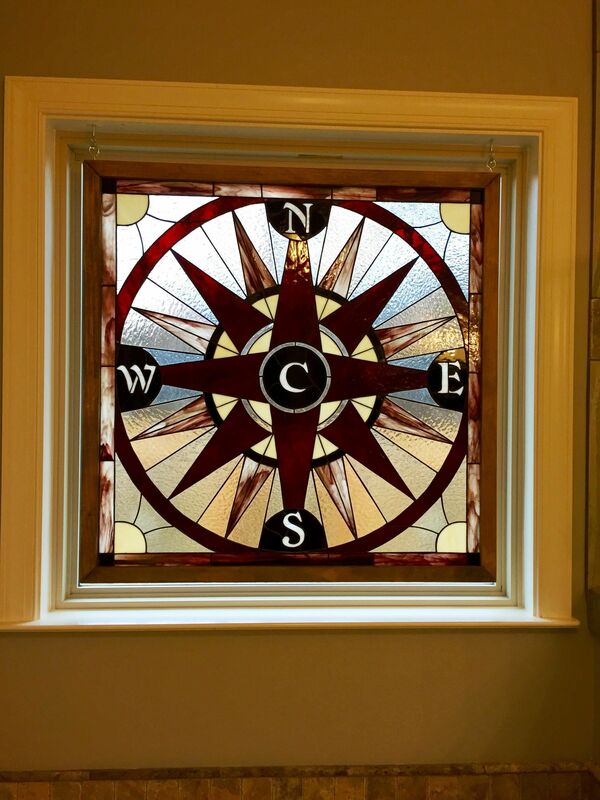 This cool stained glass window panel featuring a compass rose was created to go over a bathtub to block anyone from being able to see inside. 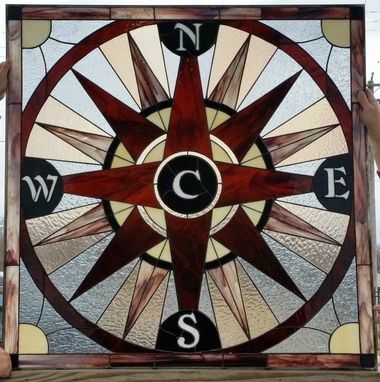 Size is 40" x 40". 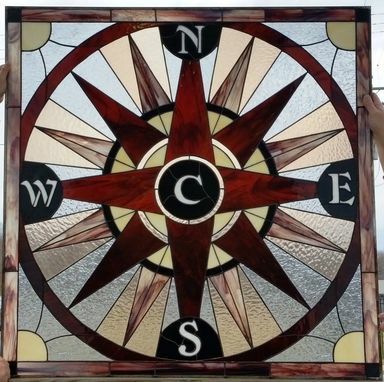 If you need a piece not only for decoration purposes but also for privacy, you are on the right place!